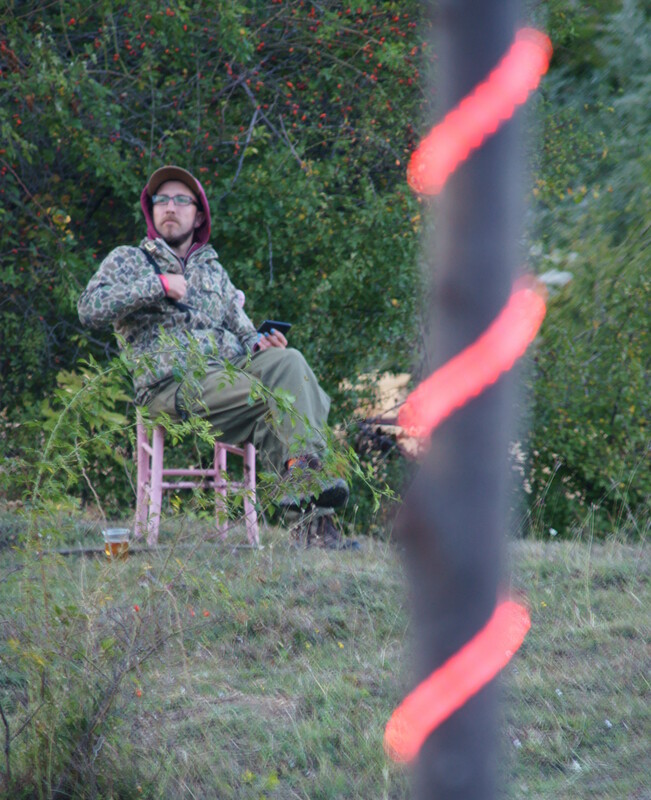 Last weekend, 13/15 September, I attended the first Luna Dolina Festival. 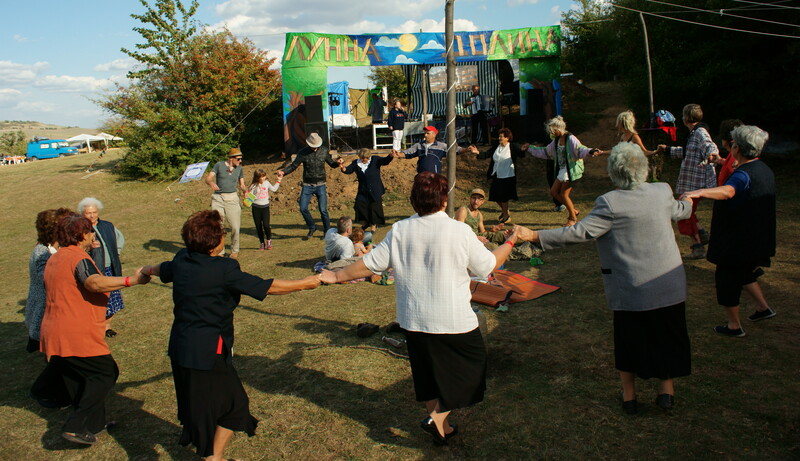 Set in a beautiful location on the outskirts of the small village of Voditsa, north east Bulgaria, around 120 performers, guests, organisers and volunteers joined together to party. It takes time for a new festival to build a reputation and attract large crowds of festival -goers, and the number of visitors who made the journey to this fairly remote event, at the end of a long summer of festivals around Bulgaria, was surely less than the organisers had hoped for. But the upside of this was an intimate, friendly, and mellow atmosphere that provided ample opportunity to make new friends. There was a good mix of DJ’s and musicians, mostly from Bulgaria and the United Kingdom plus a few other nationalites. Unfortunately for those of us who love seeing musicians strut their stuff, the number of live musical acts was low. Perhaps this was because, being the first festival, musicians were reluctant to commit their time to it. Or maybe it was due to the festival being delivered on a shoestring budget with only travel expenses paid to the participants. 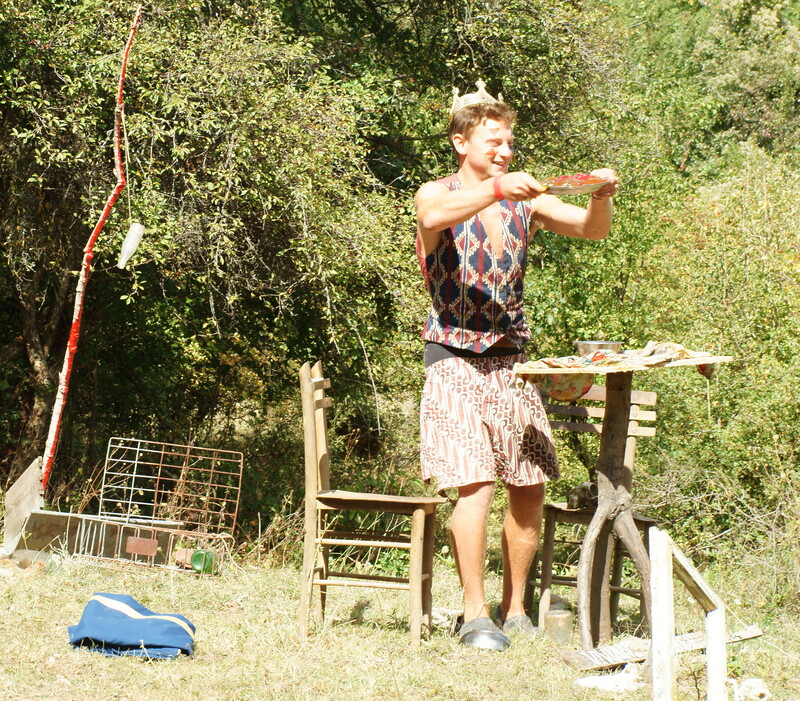 Still, we were treated to several very entertaining acts. 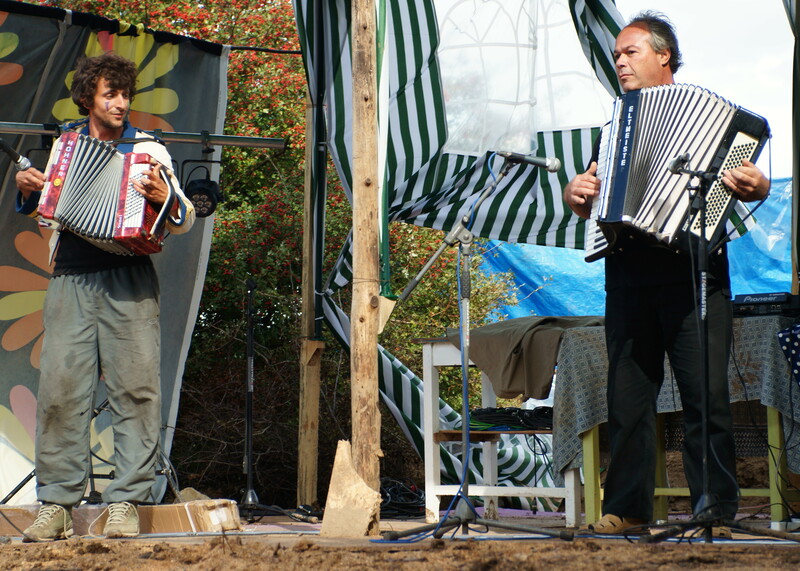 A Bulgarian accordion player gave us traditional music on Saturday afternoon, and was joined by a French accordionist for an impromptu jam. 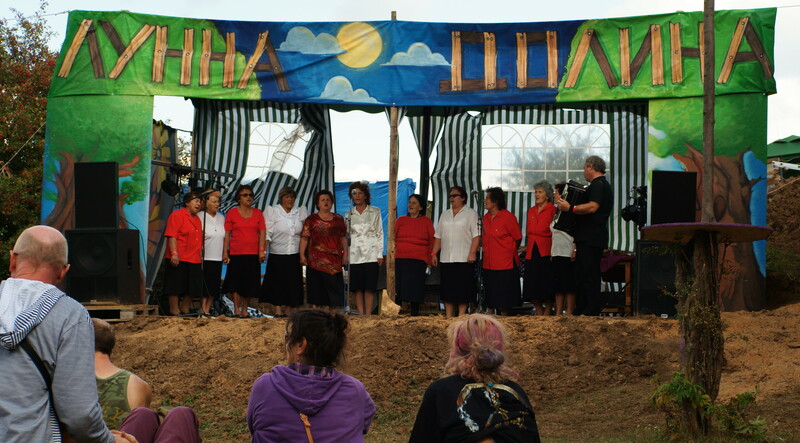 Then a women’s choir sang several songs before doing traditional dances, with many foreigners joining in. Each day a mime artist provided a twenty minute performance of what could only be described as, Theatre of the Absurd. 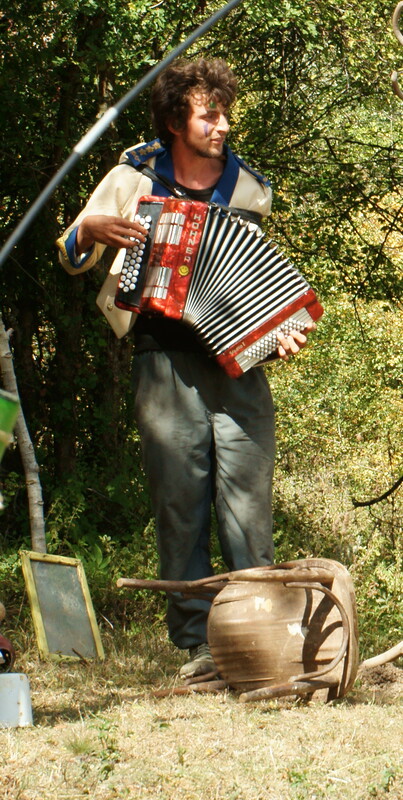 I was unable to find the young man after his show so do not know where he came from, but he was highly engaging and, accompanied by the French accordionist, his quirky performance put a smile on everyone’s face. My friend, Curtiz Melody, was able to persuade a DJ to let him do a few numbers during his set. 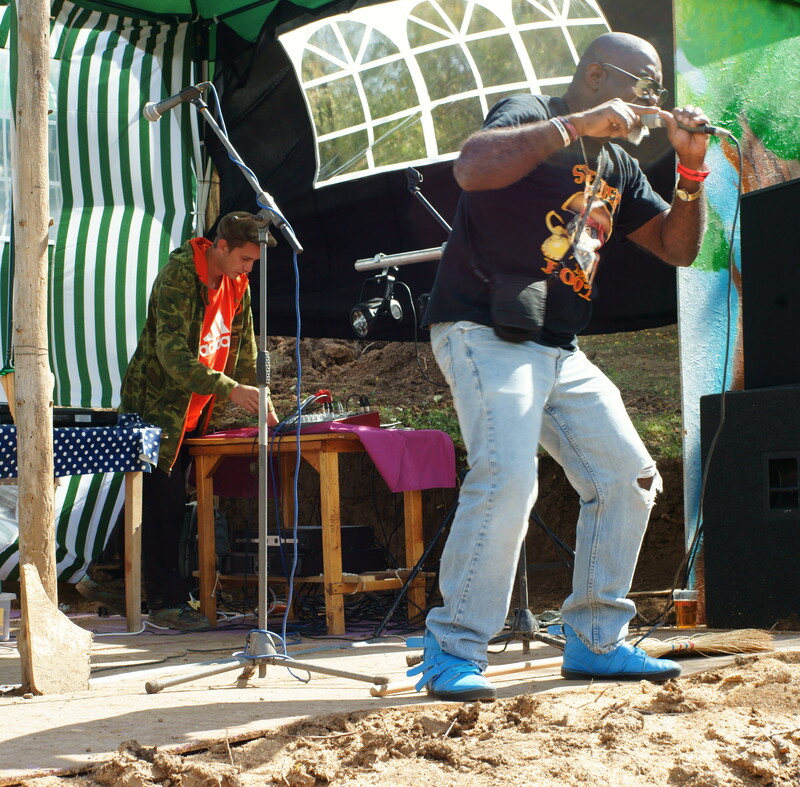 The ever ebullient Curtiz took the stage and took the audience by storm with his Carribean reggae/ rap. Indeed, so popular was he that he was given his own set for the Sunday afternoon. Mladen , another friend and my part-time assistant at ufo studios, is a member of the Gan Ja Army Collective who were billed for Sunday evening. However, being a loose collective whose members all have other commitments, only 3 of them were able to attend with one, the singer Daniel, arriving very late due to travel problems. 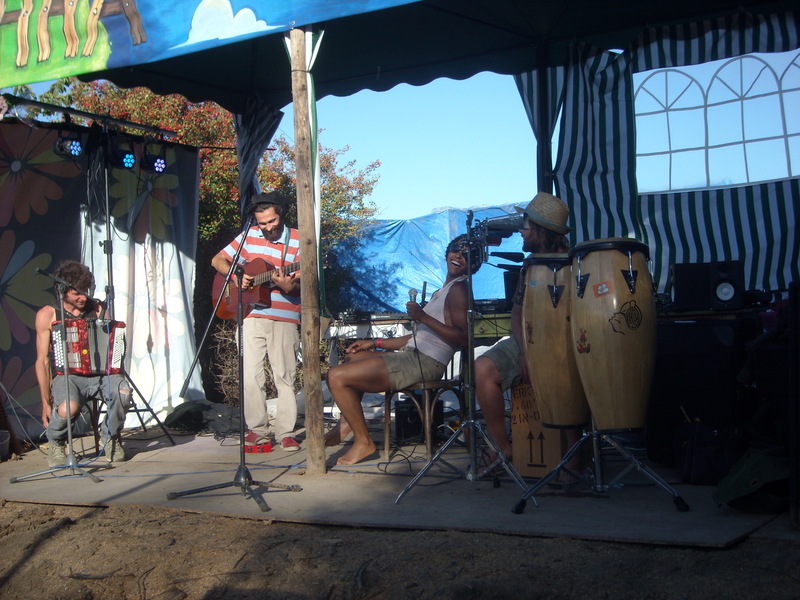 Still, Mladen and the percussionist, Rune, gave us a lively set and encouraged others to jam with them. They were joined onstage at various times by Curtiz, the French accordionist, and by Lauren, a lady from England with a charming, jazzy voice. My musical highlight was a performer from Bristol who goes by the tag, Jolyon Hi Hat, from the Bass Kitchen Collective in Bristol. His mix of funk and hip hop had people up dancing immediately and his interaction with the audience was a welcome contrast to some other DJ’s, who played good music but never once engaged with the crowd. I was unable to stay late, having to return home each evening to attend to my animals, so I missed a whole load of great sounding acts, and all of the films. 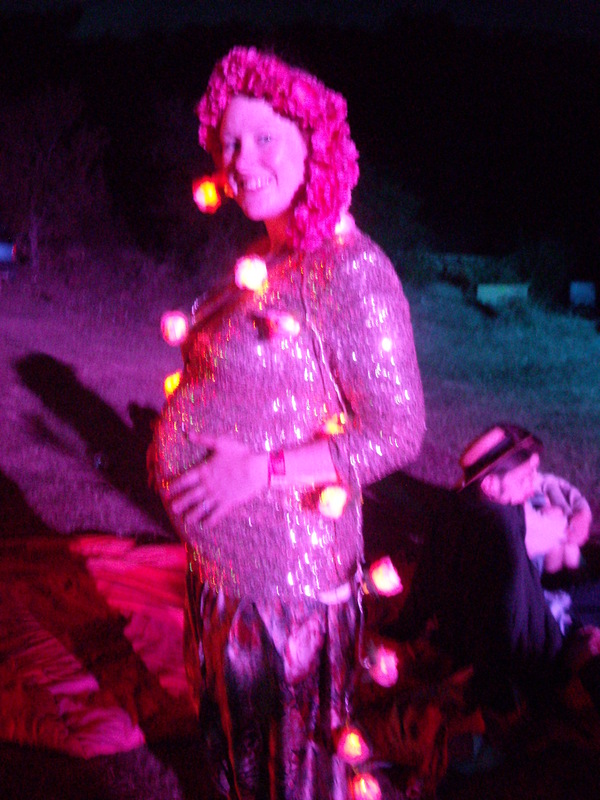 Even so, I thoroughly enjoyed what I saw and heard and had a great time meeting and making new friends. 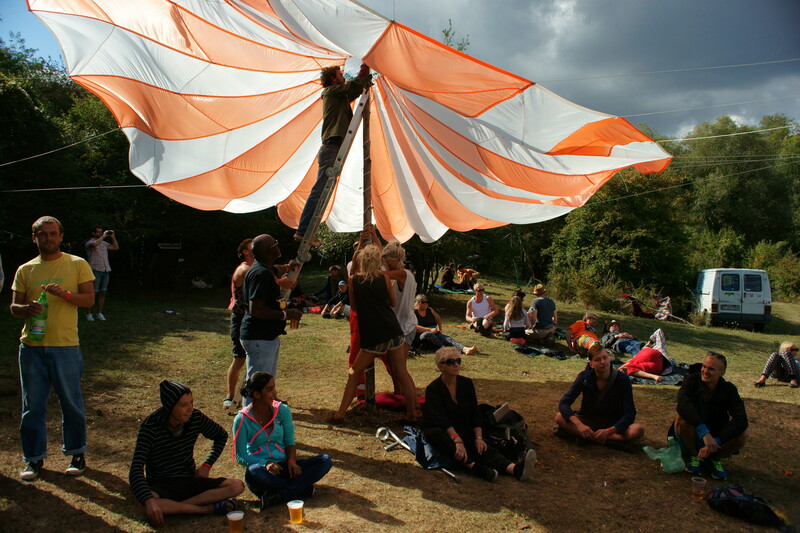 Apart from the entertainment on the big stage, the well organised festival site contained stalls selling second-hand books, second hand clothes, handmade soaps, jewellery, vegetarian and non vegetarian food, a bar, a stage and excellent temporary toilets. 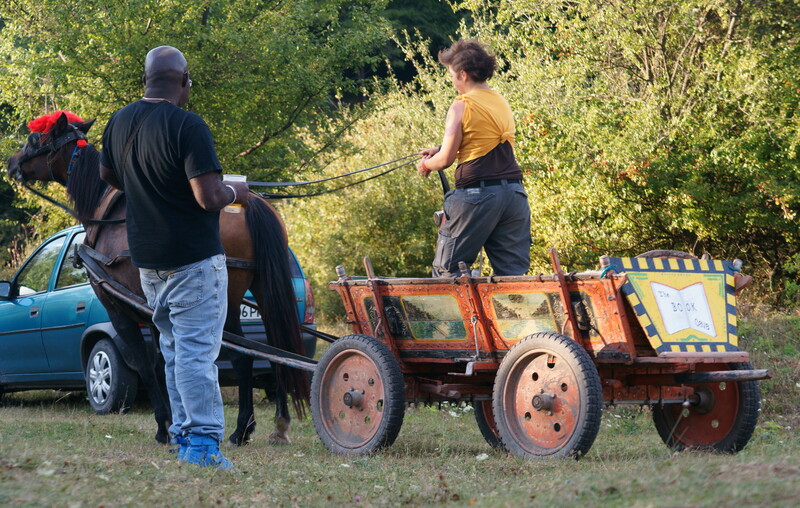 There was also the opportunity to help build a tepee, enjoy a massage, engage in archery, have a ride round the site in a traditional horse-drawn cart and, in the evenings, to watch films at the open air cinema. The location, the people and the atmosphere combined to make it a memorable event, and one that I hope will continue to grow (but not too big) in the years to come. 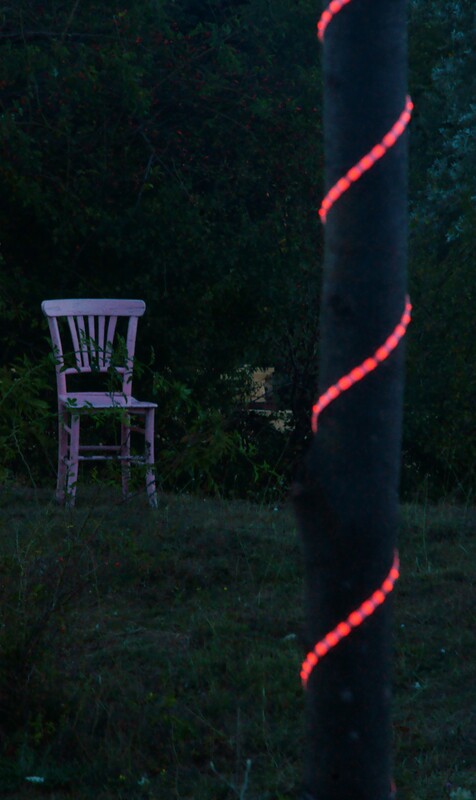 I, for one, will be booking early for the 2014 Luna Dolina Festival.